Testimonies and stories by victims of the conflict in Yemen have been reviewed by the Euro-Mediterranean Human Rights Monitor during a seminar held last week, stressing that behind the numbers in the news are the personal stories of grieving families. In the seminar on the Human Rights situation in Yemen, reports of children being subjected to forced recruitment while both women and men being subjected to torture, were presented. The non-profit concluded that all parties to the armed conflict in Yemen bear responsibility for the atrocious massacres committed in the war-torn country. Since the beginning of the war in Yemen, over 1,400 children have been killed by parties to the conflict, said Alaa Barghouthi, Euro-Med’s researcher, while quoting United Nations statistics. Civilians, particularly children, reported that they have been subjected to human rights abuses. The testimonies collected by human rights groups show the extent of harm inflicted on civilians through the use of torture tactics. Child recruitment was one of the violations committed by the Houthis against children, while prisoners in UAE-run prisons, have been subjected to physical and sexual torture, and were held in secret prisons. Political dissidents were used as human shields. Tawfiq al-Humaidi, head of SAM for Rights and Liberties, reviewed the results of the second annual report for the year 2017 prepared by his organization on the situation of human rights in Yemen. 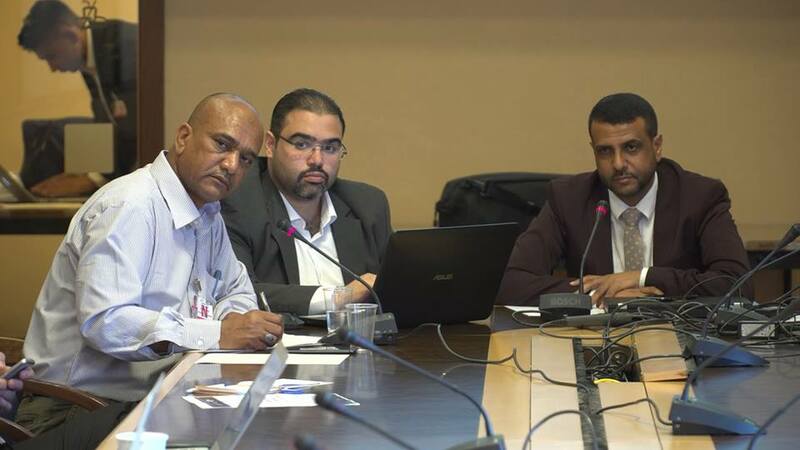 SAM’s team documented about 68,000 cases of violations against Yemenis. These abuses varied to include: killings, injuries, arbitrary detention, detention in secret prisons, violations relating to the rights of children and women, violations of the right to education and damage to the environment, among others, explained al-Humaidi. Concluding his speech, al-Humaidi called on the international community to pressure all parties in Yemen to stop human rights violations, and to end the fighting, which continues to cause more suffering, especially for children and women. Al-Humaidi also called for the prosecution of perpetrators of serious crimes contrary to international human rights and international humanitarian law. Al-Humaidi called further for a serious investigation into the cases of civilian casualties resulting from airstrikes by the Arab Coalition’s forces, and for conducting a comprehensive review of the targets and rules of engagement, especially in areas close to military sites in accordance with the rules and principles of international humanitarian law. Relating to journalists, Barghouthi pointed out that this year saw a marked increase in violations committed against journalists, including killings, arrests and forced disappearance of Yemeni journalists. About 27 journalists have been killed since the Arab Coalition’s forces announced the military operation in Yemen late March of 2015. Concluding his speech, Barghouti called on the international community to form an international committee to investigate war crimes against civilians in Yemen and urged the parties to the conflict to distinguish between civilians and combatants, and to take the necessary precautions to ensure the safety and freedom of civilians and prisoners in Yemen. Barghouti also called on the international community to build on the findings of the report by the UN Committee of Experts and to immediately and urgently put pressure on all parties involved in the detention and torture of civilians in the region.